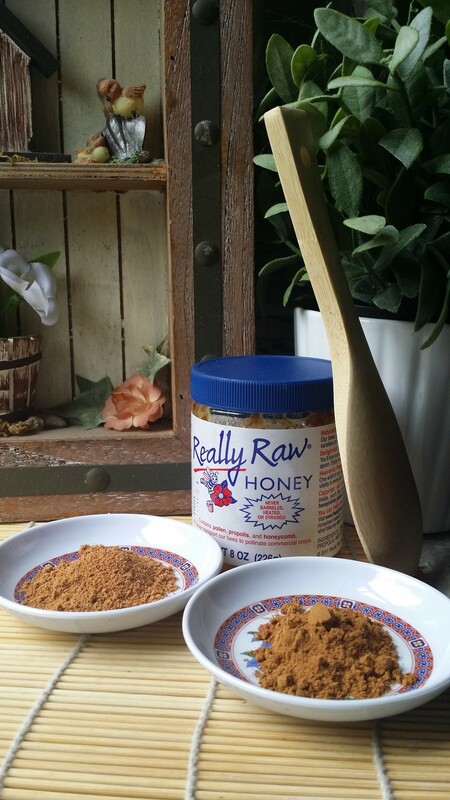 I mentioned in a previous post that I’m all about using raw honey as a face wash. I absolutely love what honey has done for my skin: clearing up breakouts, evening out my complexion, and even slowly fading scars that I’ve had for years. Well last night I decided to pamper myself with a mask made from what else? Honey! I mixed 2 tsp of honey with 1 tsp of cinnamon and 1 tsp of nutmeg until it was a brown, gooey consistency. This made just enough for one application, so I didn’t have to worry about storing any leftovers. I smoothed it all over my face using the teaspoon I mixed it up with as an applicator. Just like with any other mask, I avoided the sensitive skin under the eyes. This stuff tingles quite a bit. I don’t mind the tingling…personally, I think that the tingling let’s you know it’s working. I kept it on for 30 minutes. When I washed it off, the difference was clear (no pun intended). My skin looked brighter and my pores looked so much smaller. No joke I was seriously glowing. Even today I’ve gotten compliments on how refreshed I look.